Tioga Family Center turns empty lot into affordable housing for single parents and families - GreyFox Consulting, Inc. The Tioga Family Center at 1822-26 W. Tioga Street. The color palette and mix of materials used are meant to reflect the architecture of the neighborhood. One of the memories Michael Harle has growing up in Tioga include sitting on the stoop next to 18th and W. Tioga streets. He’d watch as his friends and neighbors battled addiction, struggling to break what seemed like a never-ending cycle. “We have to do something about this,” Harle recalls saying to his friend Troy. 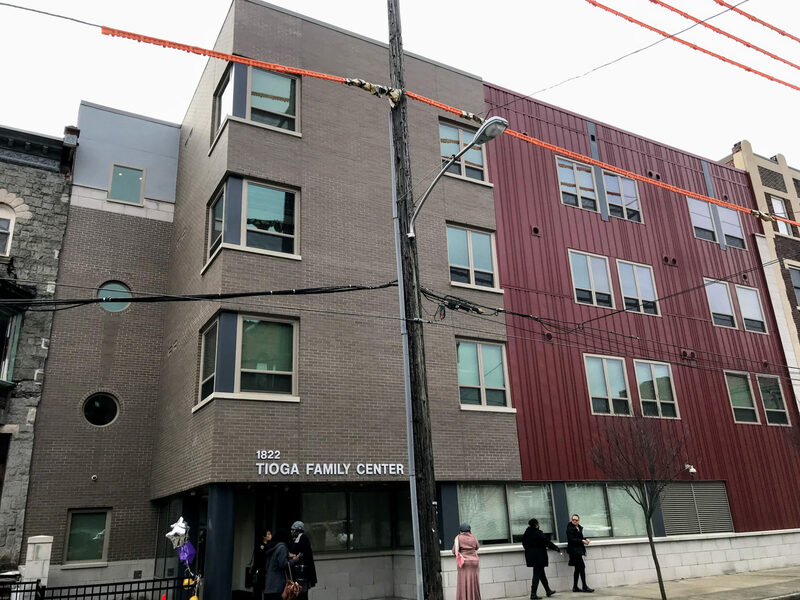 Today, the corner Harle and Troy remember as a drug-ravaged street is now the home of the Tioga Family Center, an affordable and supportive housing community for low-income women who are in the process of recovery from addiction and their children. 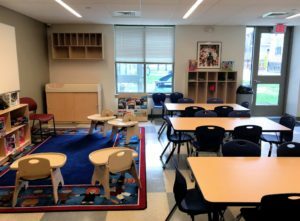 The center celebrated its grand opening Wednesday morning after more than a year of construction, though the process took nearly 10 years and involved a long list of funders. It’s run by Gaudenzia, where Harle is now the president and CEO. The organization runs various facilities throughout the Philadelphia region that help men, women, and families affected by drug and alcohol dependency, mental illness with recovery. Designed by Cecil Baker + Partners, Tioga Family Center is a four-story building that houses 24 apartments, a mix of one-, two-, and three-bedroom units. Families pay for rent based on a certain percentage of their income. But architect Nancy Bastian, who started the design process in 2009, describes it as an atypical affordable housing project in more ways that one. “It’s an unusual project for affordable housing because it has extra spaces in it,” Bastian said at the center’s opening. Those spaces—a childcare center, a computer room, classrooms, playgrounds, and a half-sized basketball court—are meant to serve the women and families and provide a comprehensive approach to family stabilization all in one place, she explained. The building was also designed to be highly energy efficient, becoming one of the first projects under the Pennsylvania Housing Finance Agency’s Low-Income Housing Tax Credits Program to meet the PHFA’s sustainability requirements. 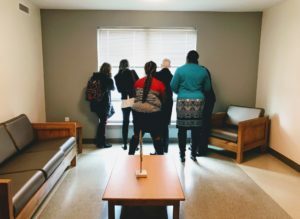 The windows are triple-paned and the walls are heavily insulated, which should result in utility bills for the residents that are 50 percent lower than the average home. At the opening on Wednesday, one of the classrooms was jam-packed, overflowing with people who all had experienced the effects of drug addiction in one way or another. An emotional Mayor Jim Kenney recently attended the funeral of a 28-year-old man he had coached as a kid, but who ultimately lost his battles to drug addiction. In an emotional plea, Kenney stressed the need for more places like the Tioga Family Center.